Trading has been halted on RIM after the company released news that it has hired JP Morgan and RBC Capital to explore strategic options. The company also said that layoffs and spending reductions will occur during the year. "While there will be significant spending reductions and headcount reductions in some areas throughout the remainder of the fiscal year, we will continue to spend and hire in key areas such as those associated with the launch of BlackBerry 10, and those tied to the growth of our application developer community," RIM President and CEO Thorsten Heins said in a statement. 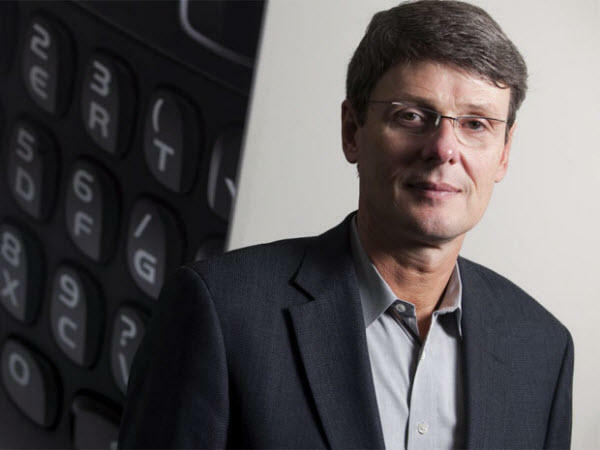 "In terms of challenges, as I mentioned on the March financial results conference call, RIM is going through a significant transformation as we move towards the BlackBerry 10 launch, and our financial performance will continue to be challenging for the next few quarters," Heins added. RIM expects lower volumes during the first quarter and belives it will be reflected in its first quarter earnings results. "We will also continue to review RIM's organizational structure and clearly define accountabilities for all key businesses and business processes with a goal of eliminating fragmentation, duplication and inefficiencies," Heins added. Trading is said to resume at 4:35 p.m. EST. WATERLOO, ONTARIO–(Marketwire -05/29/12)- Research In Motion Limited (RIM) (RIMM)(RIM.TO), a world leader in the mobile communications market, today provided a business update from Thorsten Heins, the Company's President and CEO. "During the Q4 2012 and fiscal year-end financial results conference call on March 29, I said that I would provide our shareholders with candid and timely updates when possible on the progress and challenges RIM is experiencing. While we are no longer giving quantitative financial guidance, I wanted to provide a brief business update at this time, and will provide more details when our Q1 financial results for the quarter ended June 2, 2012 are released on June 28. In terms of challenges, as I mentioned on the March financial results conference call, RIM is going through a significant transformation as we move towards the BlackBerry 10 launch, and our financial performance will continue to be challenging for the next few quarters. The on-going competitive environment is impacting our business in the form of lower volumes and highly competitive pricing dynamics in the marketplace, and we expect our Q1 results to reflect this, and likely result in an operating loss for the quarter. We are continuing to be aggressive as we compete for our customers' business – both enterprise and consumer – around the world, and our teams are working hard to provide cost-competitive, feature-rich solutions to our global customer base. On the positive side, we expect to further increase our cash position in Q1 from the approximately $2.1 billion we had at the end of fiscal 2012. BlackBerry 10 platform and their response was encouraging. BlackBerry 10 in the latter part of calendar 2012.
bodes well for our ecosystem as we get set to launch BlackBerry 10.
launch in the latter part of calendar 2012. We continue to make strategic changes to RIM's senior management team with the hiring of two key new members to RIM's executive leadership team. Kristian Tear, our Chief Operating Officer, whose background also includes extensive experience in international sales in Europe, Asia and Latin America, and Frank Boulben, our Chief Marketing Officer, who will provide our team with deep experience in the mobile computing and communications industry. Both will assist me and the existing executive team as we continue to make the organizational changes necessary to position RIM for the future and prepare for the launch of our new BlackBerry 10 platform. The CORE (cost optimization and resource efficiency) program we told you about previously is focused on delivering key operational savings through various initiatives. The financial objectives for the CORE program are targeted to drive $1 billion in savings by the end of fiscal 2013, based on our Q4 run rate. We are targeting better efficiency and use of resources in our sales and marketing initiatives to effectively leverage marketing windows and evaluate our country portfolio to determine where it makes sense for us to prioritize our efforts. We will also continue to review RIM's organizational structure and clearly define accountabilities for all key businesses and business processes with a goal of eliminating fragmentation, duplication and inefficiencies. While there will be significant spending reductions and headcount reductions in some areas throughout the remainder of the fiscal year, we will continue to spend and hire in key areas such as those associated with the launch of BlackBerry 10, and those tied to the growth of our application developer community. We will share more details regarding our progress throughout the year as programs are implemented or changes are completed. To further enhance our commitment to successfully completing our transformation, after the release of our year-end financial results, we engaged J.P. Morgan Securities LLC and RBC Capital Markets to assist the Company and our Board of Directors in reviewing RIM's business and financial performance. These advisors have been tasked to help us with the strategic review we referenced on our year-end financial results conference call and to evaluate the relative merits and feasibility of various financial strategies, including opportunities to leverage the BlackBerry platform through partnerships, licensing opportunities and strategic business model alternatives. Although we are facing challenges, we remain excited about BlackBerry 10 and believe that this platform coupled with the results of the strategic review will create long-term value for our stakeholders. We will provide another more detailed business update when we report our first quarter results in June." RIM will be reporting results for the first quarter of fiscal 2013 on June 28, 2012 after the close of the market. The Company will discuss today's announcement and first quarter fiscal 2013 results on a conference call and live webcast beginning at 5 pm ET, June 28, 2012. The call can be accessed by dialing 1-800-814-4859 or at www.rim.com/investors/events/index.shtml. A replay of the conference call will also be available at approximately 7 pm by dialing 1-416-640-1917 and entering passcode 4501363#. A replay of the webcast will be available clicking the link above. The replay will be available until midnight ET July 12, 2012. The conference call will also appear on the RIM website live at 5 pm ET and will be archived at http://www.rim.com/investors/events/index.shtml.